ABN Amro Clearing to provide support for classic FX derivatives contracts with monthly and quarterly expiries, as well as rolling spot futures. Dutch investment bank ABN Amro has started clearing Eurex foreign exchange (FX) futures and options for its clients. The move means that ABN Amro Clearing can now provide support for classic FX derivatives contracts with monthly and quarterly expiries, as well as rolling spot futures which are now live on the exchange. “Our clients have made our decision to support the Eurex FX exchange traded derivatives offering very easy”, said Michael van Dijk, global product manager for FX at ABN AMRO Clearing. 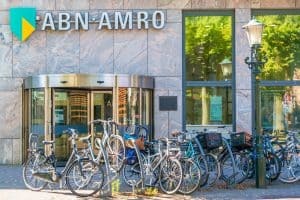 Both firms added that ABN Amro Clearing support extends to clients trading in the exchange order book in Europe, and makers and takers trading listed FX and OTC FX on Deutsche Börse’s 360T platform. Earlier this year, Deutsche Börse announced plans to combine the sales and product design teams for equity index and fixed income derivatives at Eurex as part of restructure. The new organisational setup was made to improve the Group’s asset class focus and product offering.